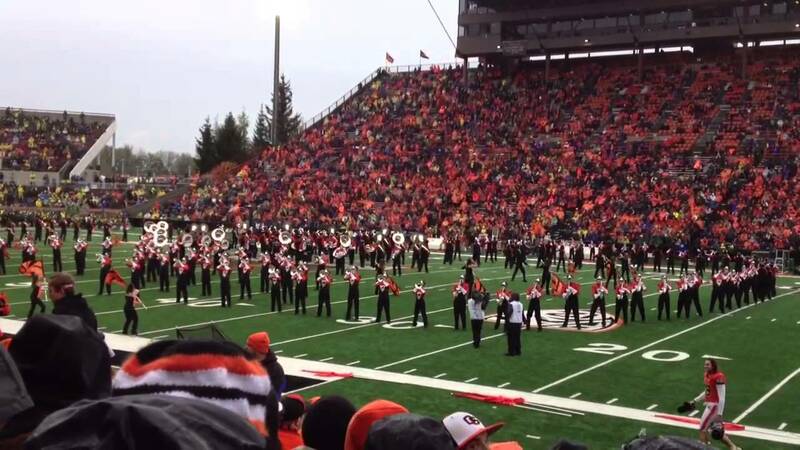 Oregon State Band has been marching on WHAT!?! After a game many bands find themselves marching through piles of charcoal or on chicken bones from tailgates on their practice fields. However, it isn't every day that a band marches on top of something incredible. That has been the case for many years at Oregon State. During a recent excavation project as the school plans to renovate Reser Stadium, crews found something they couldn't believe. 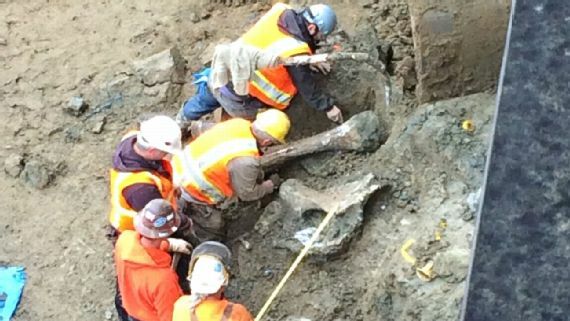 They found bones of a 10,000 year old mammoth! They also found other prehistoric bones of a bison, horse and some kind of camel. The university said the animals were likely to have died in an old marsh land. Many prehistoric animals would move towards water as they approached the end of their lives. This would also explain the collection of bones in the same area. The north end zone area of the stadium where the bones were found is going to house the team's new locker room. Congrats Beaver Band Members, you can now lay claim to being the only band, to date, that has marched over prehistoric bones.